A knee pain diagnosis chart can be a really tool to help you work out why you have pain in your knee. There are lots of different structures in and around the knee that can cause pain. 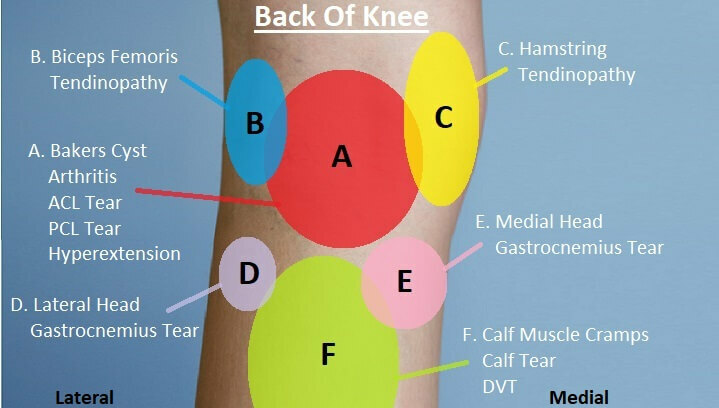 Knowing which ones typically cause pain in which particular areas of the knee help make it much easier to get an accurate knee pain self diagnosis. This knee pain diagnosis chart focuses on pain at the front of the knee. Osgood Schlatters Disease: Affects adolescents and children typically after a growth spurt. Pain is felt at the top of the shin bone and there is often a hard bony lump. This knee pain diagnosis chart focuses on pain at the back of the knee. DVT: A blood clot in one of the deep leg veins. Associated with intense pain, swelling, redness, heat and tenderness. A DVT is a medical emergency and requires immediate medical intervention. Understanding what is causing your knee pain is the first, crucial step to overcoming knee pain. The knee pain diagnosis charts here are very useful visual tool to help you work out what is wrong. You can find out loads more about these conditions by using the links above. Alternatively, if you want some more guidance, visit the knee pain diagnosis section. There are lots of other causes of knee pain that don't appear on either of these knee pain diagnosis charts e.g. gout knee. 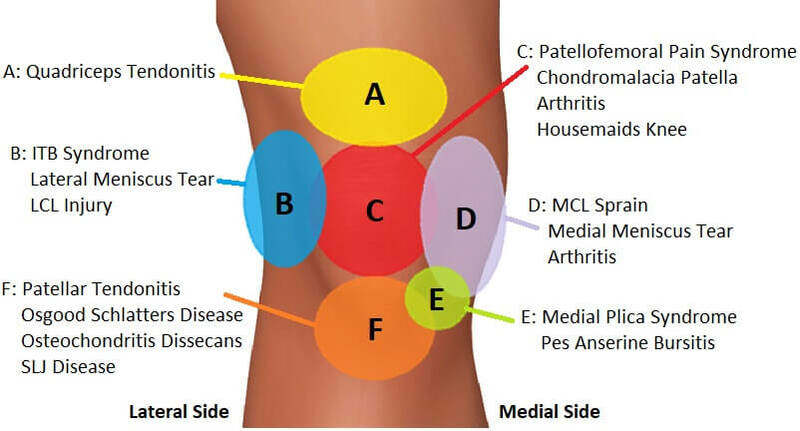 They tend to cause more general, widespread knee pain, rather than pain in a specific locations so haven't been included here on these knee pain diagnosis chart. You can find out more in the common knee conditions section.